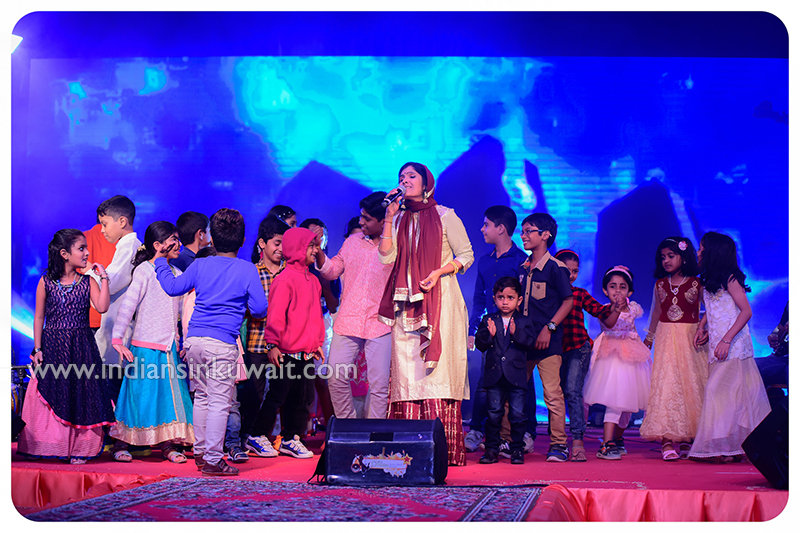 Seva Darshan Kuwait, a voluntary non-profit and charitable organization, organized its biennial mega stage show Darshan 2019 on 12th April 2019 at Indian Central School. 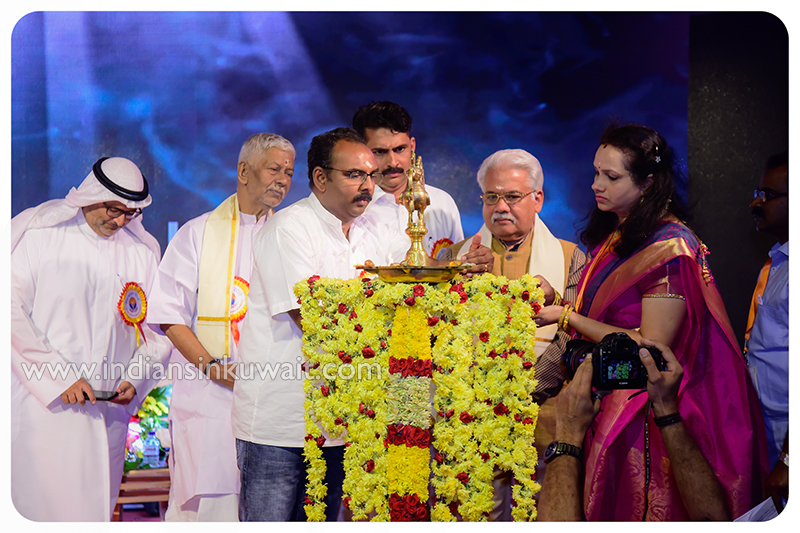 Renowned Malayalam poet and Lyricist Sri.S.Rameshan Nair inaugurated the event by lighting traditional lamp. Other dignitaries on the dias Mr. Marwan Al Essa (Managing Director, Burgan Equipment), Sri. Rajpal Tyagi (Pravasi Bharateeya Samman Awardee), Sri. Ramachandran Menon (Chairman, Bhavans Middle East), Sri. T.R.Sanju Raj (President, Seva Darshan Kuwait), Sri. Praveen.V (General Secretary, Seva Darshan Kuwait) and Sri. Mohan Kumar (General Convener, Darshan 2019) joined him for the same. Sri. Ramesan Nair addressed the audience emphasizing the need and importance of preserving the years old tradition, culture and values which forms the foundation Bharath. Mr. Marwan Al Essa shared his happiness in joining the Indian community whom he believes to be the force behind his success. 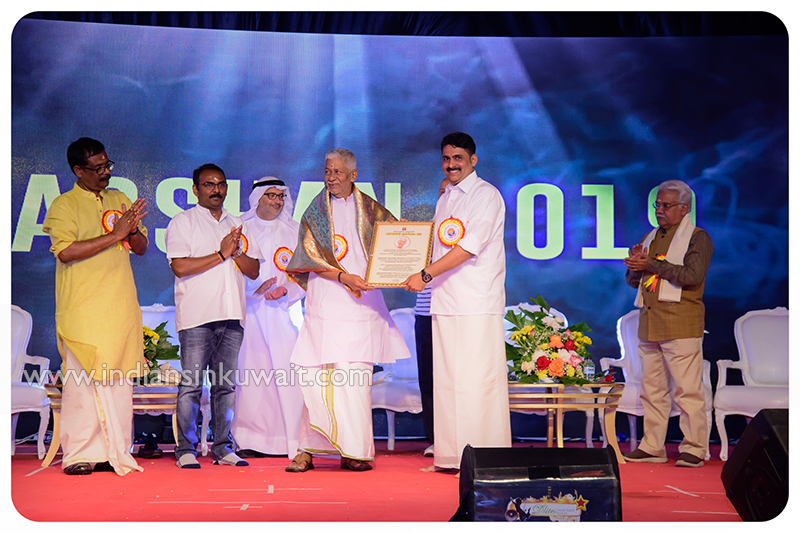 Sri.S.Rameshan Nair was bestowed with the “Karmayogi Puraskar’ instituted by Seva Darshan Kuwait to honour the eminences who constantly work for the betterment of society and nation at large in their own field. The award consists of INR.1,00,000/- in cash, a memento and a citation. Cultural Convener Sri. Vibheesh read out the citation to the audience. Sri.Rajpal Tyagi and Sri. Ramachandran Menon was honoured at the function for their prestigious Pravasi Bharateeya Samman and Global Excellence Award respectively. Sri Mohankumar welcomed the gathering and introduced the project to the audience. Sri. Sanjuraj delivered the presidential address and Sri. Praveen Pillai presented the organization report. Sri. 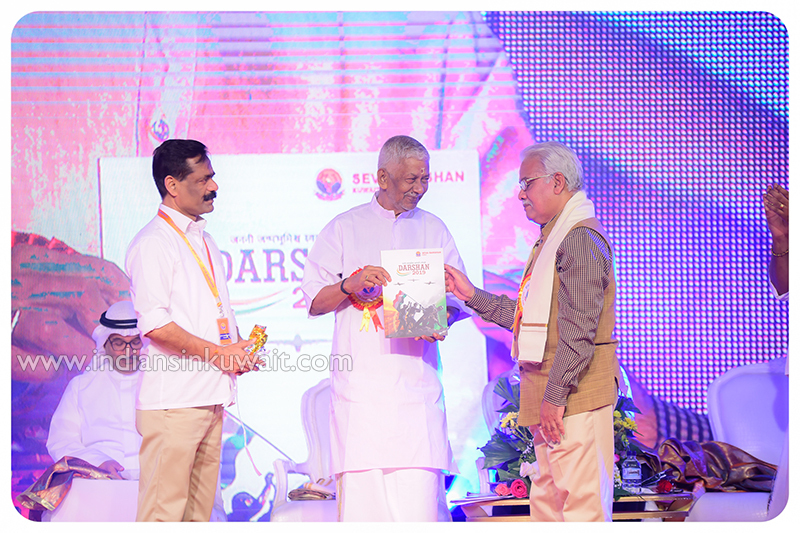 Ramachandran Menon released the commemorative souvenir. Seva Darshan Kuwait vice president Sri. R.Sundararaman proposed the vote of thanks. 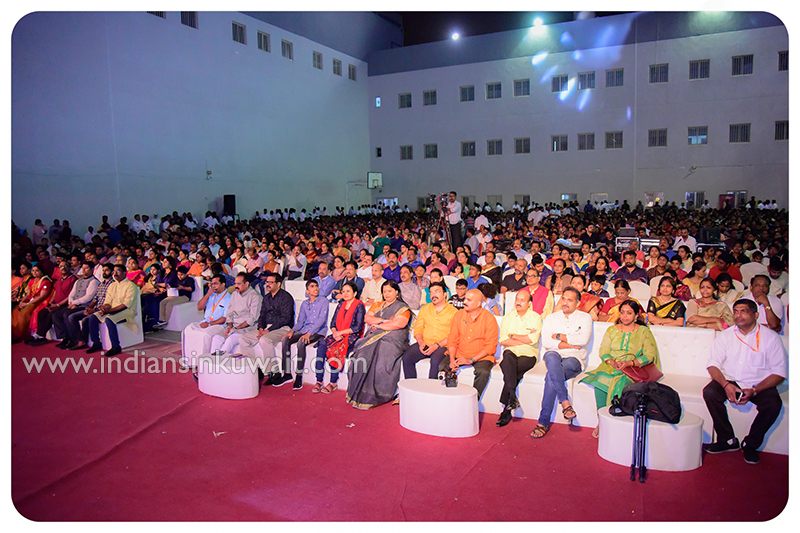 The signature drama “Pallivaal”, written by Dr. N. R. Madhu Meenachil, presented by the members of Seva Darshan captured the mind of thousands who turned up despite the bad weather. 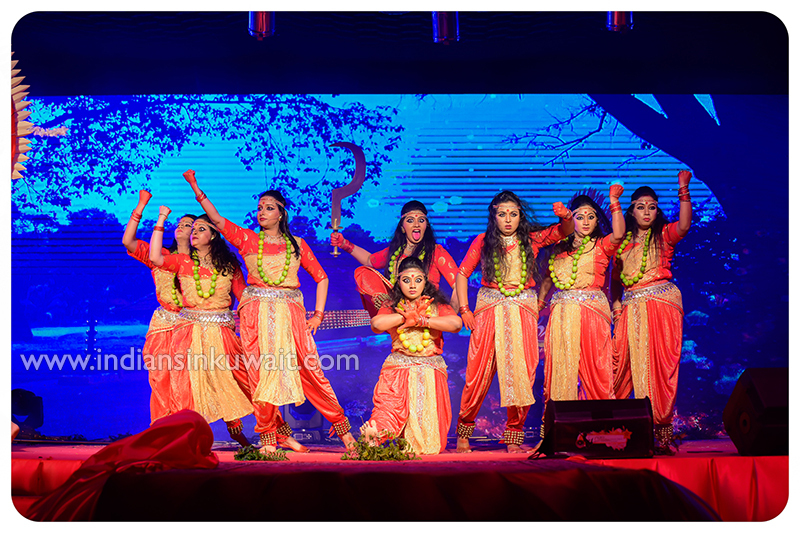 Bhavans Rythmscapes and Prathibha School of Dance choreographed the picturisation of songs in the drama which portrayed the existing socio-political scenario focusing the need to defend efforts to destroy the environmental balance. Musical show led by famous play back singer Smt. Anuradha Sriram and Shri. 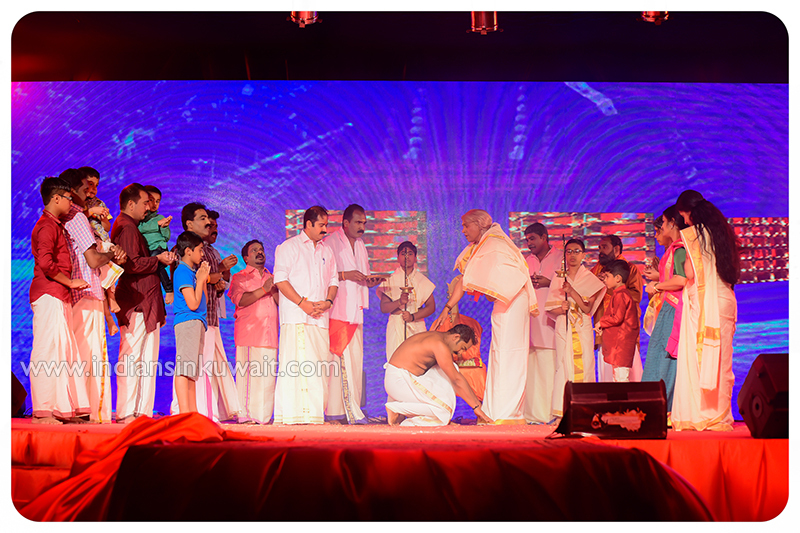 Sachin Warrier along with Shri. 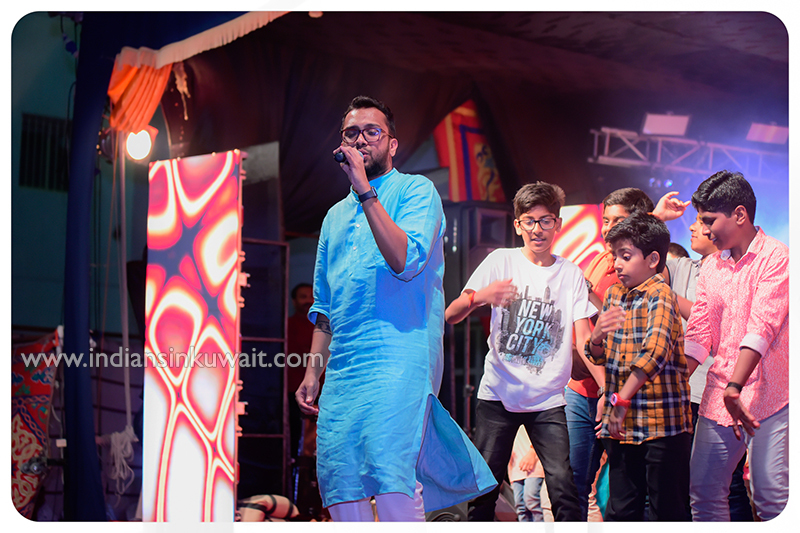 Anoop Kumar on the musical keyboard attracted the audience. The event was coordinated by Veda Events Kuwait. The organizers thanked the guests for providing their moral support to the event.